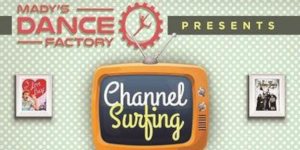 Madys Dance Factory Presents...Channel Surfing by Mady's Dance Factory We are so excited to announce our End of the School Year Recital theme, "CHANNEL SURFING" "Channel Surfing" is a themed dance recital that plays off of all the greatest TV shows from the 50's to present day! This is our biggest show of the year and it is open to ALL Dancers! 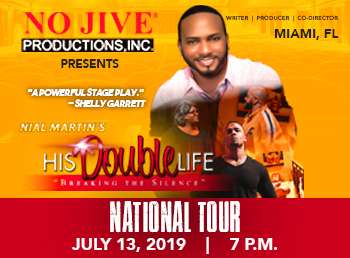 Description HIS DOUBLE LIFE is a play that tells the story of a young man who craves the unconditional love of his father but finds that no matter what he does, he is unable to measure up. But he faces even more serious obstacles that threaten to destroy the relationship with his high school sweetheart and one day wife, tear his family apart and cause an irreconcilable breach between him and his father. The stars of humor - Alexander Revva and Mikhail Galustyan created a completely new comedy show â€œFunny and Even Funnier,â€� which will soon be presented in the Big Tour of the United States and Canada. The duo's corporate humor will not leave anyone indifferent: laughter, joy and a positive mood are guaranteed to all viewers of the new show. Welcome to the Littman Theater website!!! We have redesigned our site to make it easier to keep you informed of the exciting entertainment opportunities available in the northern part of Miami Dade County. The Littman is conveniently located in North Miami Beach, “the Crossroads of South Florida;” just minutes away from most vibrant destinations, and we are accessible from all major highways. Our calendar is filled with a variety of culturally diverse shows and programs and you can be the first to know by adding your name to the mailing list. Become a Littman Theater season ticket holder and get prime seats for the most entertaining shows for you and your family. Come see what’s new at the Littman! Click below for information on some of our upcoming shows and performances! In conjuncution with the City of North Miami Beach. Powered by Creative Marketing Concepts, Inc.